Cream liqueurs are an emulsion of cream with an alcoholic spirit such as brandy, whisky, vodka, etc. which may be in highly concentrated form. Most products contain several other added ingredients which may include sugar, full fat milk powder, non-fat milk solids, flavourings, colouring, preservatives and a thickening agent such as sodium caseinate, which also acts as a stabiliser to prevent the cream and alcohol from separating. 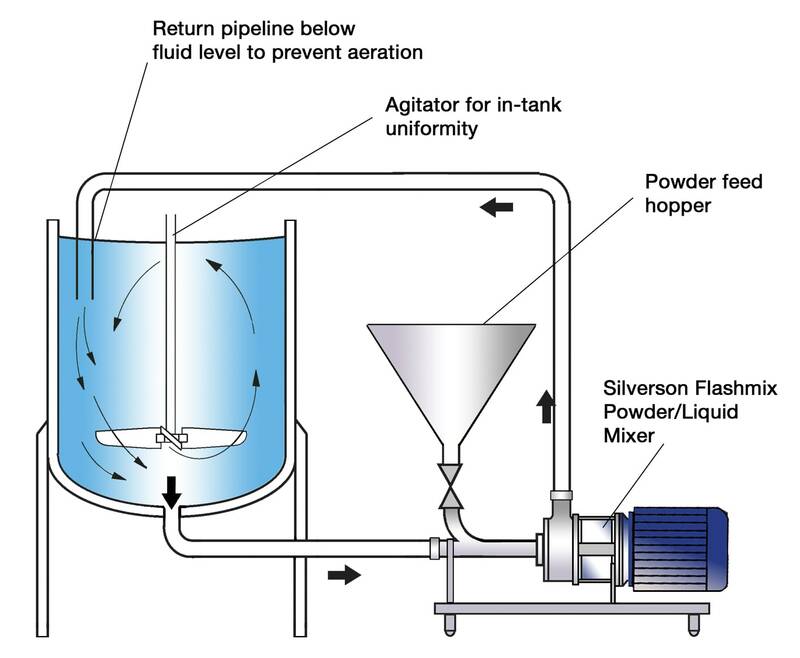 Homogenisation, normally using a high pressure homogeniser to obtain a stable emulsion which will not separate in the bottle. 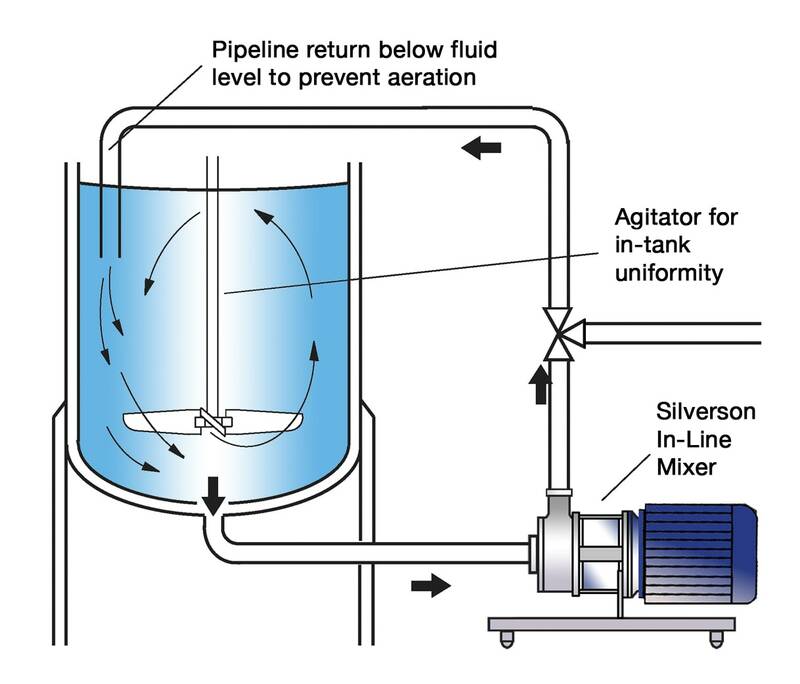 Agitators do not impart enough shear to form the stable pre-emulsion of low globule size required by the high pressure homogeniser. 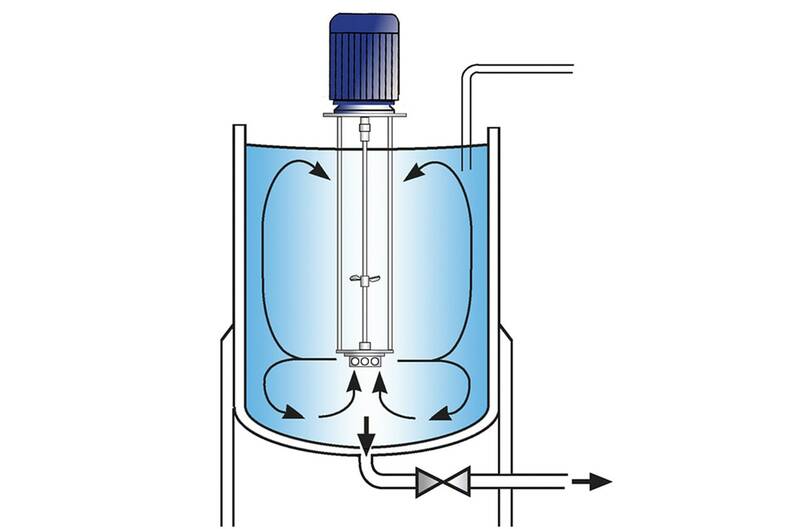 Several runs through the high pressure homogeniser may be required to obtain the required product. Centrifugal force drives the materials to the periphery of the workhead where they are subjected to a milling action in the gap between the rotor and stator wall. Agglomerates in the milk powder are broken down as the powder is finely dispersed into the milk. The pre-emulsion is more uniform and of a low particle size, allowing faster processing through the high pressure homogeniser.